We urgently need more people to register as potential stem cell / bone marrow donors. 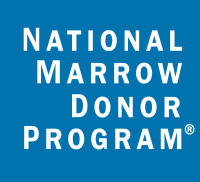 Over 37,000 people worldwide need a bone marrow transplant but they must first find a matching donor. I’m trying not to dwell in the past too much, but nevertheless I find that I can’t help myself from glancing back at the journal that I kept last year, particularly reflecting on the times which were especially poignant. 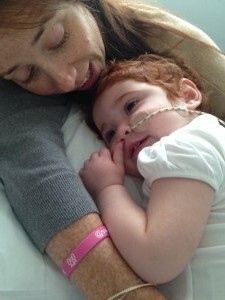 September 2014 was a very difficult month for Margot – she had already been declared “incurable” by the doctors and then picked up an infection which saw her suffer terrible fevers for a fortnight, culminating in an awful night when we almost lost her at Kingston Hospital during the early hours of 21 September. When I say that we almost lost Margot, her vital signs that night were extremely weak, nurses consoled us in tears and the doctor explained during the early hours of the morning that the machines were beeping and would continue to do so “as Margot slips away”. In the event, Margot made it through that night & made a brief recovery from that episode. Meanwhile, something was niggling away at me which didn’t make any sense: why wasn’t Margot’s white cell count high & increasing ? After all, that’s what happens when leukaemia runs riot, but this wasn’t being borne out in the regular blood tests. And what might be the explanation for the increasing percentage of donor cells in her blood ? I was desperately clinging on to hope. 22:44 I’m sitting here watching Margot’s heart rate monitor and going over our situation again & again. There’s one outstanding niggling query. 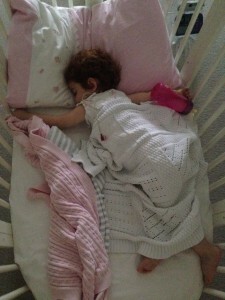 Margot has no immune system and this infection might kill her. But what about the leukaemia ? One thing: We still don’t know what / why Margot’s white cell count is down and remaining so low. I believe that Dr Phil was not at GOSH on Friday & he hasn’t seen the blood film personally. I am keen to understand whether there was any evidence of an irregular evolution of the white cells that might have gone undetected by the machine count, but which could be seen in the blood film. I emailed Dr Phil just after 02:00 today but no doubt he is not back in until Monday. I only ask now, because my decision on whether to resuscitate Margot (if needed) may be affected by the answer. Is there anyone who can look at that tonight and answer the question please ? 22:59 Andrea calls. She has spoken to Dr Phil and he is going to call me. She just wanted to ensure that we knew he is going to call. 23:14 Margot wakes and sits up. She is grumpy and clearly not herself. She says “no” a few times, to anything that we suggest. She wants to remove the sensor on her toe but now won’t lie back down. She sits not moving with heavy eyelids. Margot asks for Peppa Pig to be put on TV and eventually ends up lying down in her cot with Vicki, drinking from her milk bottle and watching TV. 23:21 Dr Phil calls. We have a 10 minute call. There’s a good deal of mumbling from him – he is clearly uncomfortable at having this ‘bad news’ conversation, but his message is the same: Margot has a nasty form of leukaemia. She isn’t now going to go into spontaneous remission. If necessary, she might well be resuscitated but she’d still be a very sick girl with leukaemia. OK – but why is her white cell count so low ? He doesn’t seem to have the answer to that, other than to say that we know from the blood film that Margot HAS leukaemia blasts in her blood and these appear to be ALL. OK – so please can you explain what Dr Renee said the other day, about a possible irregular evolution of white cells ? My simplistic understanding is that leukaemia is about white cells rapidly replicating. He explains that it’s not as simple as that and the scenario outlined by Dr Renee wouldn’t necessarily show in the blood, but in the marrow instead. The bottom line is: Margot has a nasty leukaemia. Resuscitating her might extend her life a little longer but it wouldn’t address the leukaemia, which remains. I thank him for all his help and we say goodnight. Nurse Becky tried to put the sensor back on Margot’s toe but she objects to this. We negotiate her sock going back on and the sensor going onto her thumb. Margot drops off to sleep. Her heart rate is jumping around the mid to high 70′s and back up to the mid 80′s. 00:00 Vicki lies down to get some shut eye. Nurse Becky says she can find me another bed in next door Dolphin ward. 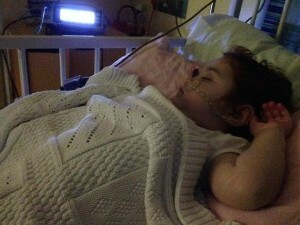 The machine starts beeping – Margot has pulled the sensor off her thumb & is holding it up. Her head is cold & clammy to the touch. Margot is extremely sweaty. I ask her if it’s ok to put it back on and she agrees. “Daddy” she says pointing at the machine “beep beep”. And then she shuts her eyes again and drifts off. I have just received the following email from Dr Phil. It’s potentially providing the answer to my query: why are the white cells remaining low and static ? I hope Margot’s a little better today. Interestingly, we might have an answer to your question below as to what is keeping the white blood cell count down. We have looked at the cells from last week’s sample and only half are ALL cells, a small proportion crossing towards the AML clone, but the bulk of the rest are normal looking reactive cells – presumably of donor origin – we are trying to prove. It is thus likely that the donor cells are putting up a bit of an albeit rather belated fight and pushing the “uneasy truce” in the right direction. As I said on Saturday, it is virtually impossible to envisage that this will result in a remission, but might keep the lid on things a little longer. I have read your email a couple of times with cautious surprise and delight. Margot’s condition is itself extremely rare, so we are no longer strangers to longshots ! Frankly, we are holding out for a miracle and perhaps the donor cells will provide one after all. Better late than never ! Is there anything more we might do to assist the donor cells in their efforts ? Might an injection of additional donor cells from the same donor help the good guys (cells) ? If so, please let’s get cracking and send in more troops ! And as an aside, might this late fight back explain the recent temperature spikes, pre-infection ? THANK YOU for re-checking the blood film. Do please let us know if there’s more to report following your further investigations and whether we can do anything more to help the fight back. “Just to let you know there are still donor cells present. The percentage found was 17% but it transpires that this was the sample from 9th September – very sorry – lab error. Nevertheless it does support the fact that the donor lymphs are around. We scored roughly a quarter non-leukaemia cells on yesterdays film. In truth, I don’t think one can read too much into the numbers. There certainly has not been a dramatic change either way this past week. 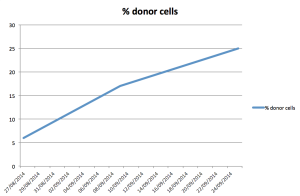 To illustrate the reason for my excitement, I plotted a graph showing the rising percentage of donor cells in Margot’s blood – a good sign ! “Yes, your re-iteration of the numbers is correct but not wishing to be overly negative, I worry you are reading a little too much into them. Sadly there is still quite a lot of leukaemia present. I’m afraid we need to wait a little longer to assess whether the rises are significant or just a blip. OK ! Message received. Loud and clear. Again. “I cannot say with my humble eyes and that number will fluctuate….but ……the chimerism analysis has just (12:02) been authorised and shows 46% donor cells. Personally speaking, I have changed my world view on Margot’s condition over the last few days. I accept that there’s little medical basis for feeling overly positive, but the fact is that against all odds, Margot is still with us. She appears to have overcome the infection that threatened her life 10 days ago. She continues to enjoy a decent quality of life (when not febrile) and there is definitely SOMETHING going on within her blood that is showing an increasing number of donor cells. Whilst no one wishes to get too carried away or to be overly positive about this donor cell activity, it is certainly valid to say that it isn’t negative ! More bloods will be taken tomorrow and it wouldn’t surprise me if the leukaemic cells in her blood are shown to have slipped into the minority. The big unknown and really important thing to understand is what is going on in Margot’s marrow. And we won’t know that until after the next bone marrow aspirate on Tuesday 7 October. So until someone can show us that there is no immune response to the leukaemia, or indeed Margot tells us herself, I’m allowing myself to believe that Margot may have started a slow recovery. As far as I am concerned, the aim is to keep Margot infection free, enjoying life and for long enough for the donor cells to do the necessary. Guest blog: Is your heritage more mixed than you think? Episode 3 – Our boat is wrapped ! Thank you Old Vicarage School ! NOW is the time to share your views on a new organ donation system. Don’t forget those who are mixed race, like you. Weather permitting… we leave TOMORROW! A dreadful co-incidence or just another awful stat of life ? Unfortunately, not everyone is like you. Thank you & Happy New Year ! What would inspire you register as a potential donor ? You might be the only one who can save a life. 17 September is World Marrow Donor Day: THANK YOU to Donors EVERYWHERE ! Could you be someone’s Golden Ticket? Thank you Tower House School ! Does ethnicity priming impact on a person’s propensity to give blood? The best way you can help yourself, is to help others. Don’t do it… unless you’re sure you want to. Merry Christmas & best wishes for 2016 ! Is that the beer talking ..? Thank you and Congratulations ! Wishing everyone a good first day back at school ! 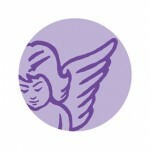 Katrina, Team Margot Donor receives an update on her recipient! When I first met you, Blue Kangaroo! Celebrate the good times ! Save yourself money & help to save a life. How are you coping ? I love you, Blue Kangaroo! 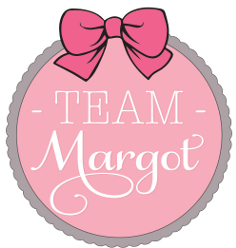 Thank you, Team Margot ! How do you thank someone who has saved your life ? KKD5: So who’s in charge? Would you stake your life on a 50/50 bet ? The cure for blood cancer is YOU. Singing Hands – we salute you! THANK YOU & Merry Christmas ! ‘Everyday heroes’ can be just like you and me. Thank you for all your love and support. An hour at at time. Margot was diagnosed with blood cancer on 7 October 2013, so we have made this date the “TEAM MARGOT STEM CELL AND BONE MARROW REGISTRATION DAY” – an international day designed to inform, inspire and motivate more people to join the worldwide registers as potential stem cell and bone marrow donors, in their countries. Margot’s mixed ethnicity was the key reason why we were unable to find her “perfect match” – this is an area where your race and ethnicity is vital – which is why, in particular, we seek to encourage people of mixed heritage and those from ethnic minorities to join a register. We value highly & give great currency to word of mouth – please talk about this & tell someone, follow us online, retweet and share what we post and create and upload your own posts & photos on social media in support. We don’t mind how you choose to register, only that you do PLEASE REGISTER ! Give it a go & see how it makes you feel. Ann O’Leary, Head of Register Development at the blood cancer charity Anthony Nolan, said: “Saving the lives of people with blood cancer is a truly global effort, as countries all over the world work together to find stem cell matches for people in need of a transplant. “That’s why we’re so delighted that Team Margot are about to launch their first International Stem Cell and Bone Marrow Awareness Day. Margot’s legacy inspired an incredible number of people to become lifesaving stem cell donors all over the world, and we are looking forward to recruiting the next generation of lifesavers on 7th October at donor recruitment events in Margot’s name. Theo Clarke, Lead Donor Relations Manager at NHS Blood and Transplant, said: “We really need young blood donors to sign up to the British Bone Marrow Registry (BBMR) and potentially become that one in a million match for someone in desperate need of a transplant. Joining the registry is really easy, all you have to do is tell a member of staff at the start of your next blood donation session that you want to join the registry and an extra sample of blood will be taken during your donation. To find out where your nearest session is and to book an appointment to give blood and join the BBMR, call 0300 123 23 23 or visit www.blood.co.uk. “It is vital that we create awareness and educate the public about Leukaemia and other life threatening blood disorders as well as the desperate need for bone marrow stem cell donors. One of the biggest challenges that we face in South Africa, is the shortage of donors from Black, Coloured and Indian ethnic backgrounds. Team Margot Stem Cell and Bone Marrow Awareness Day will assist in the endeavours to educate the public and hopefully encourage donors, from all ethnic groups, to step forward all over the world.